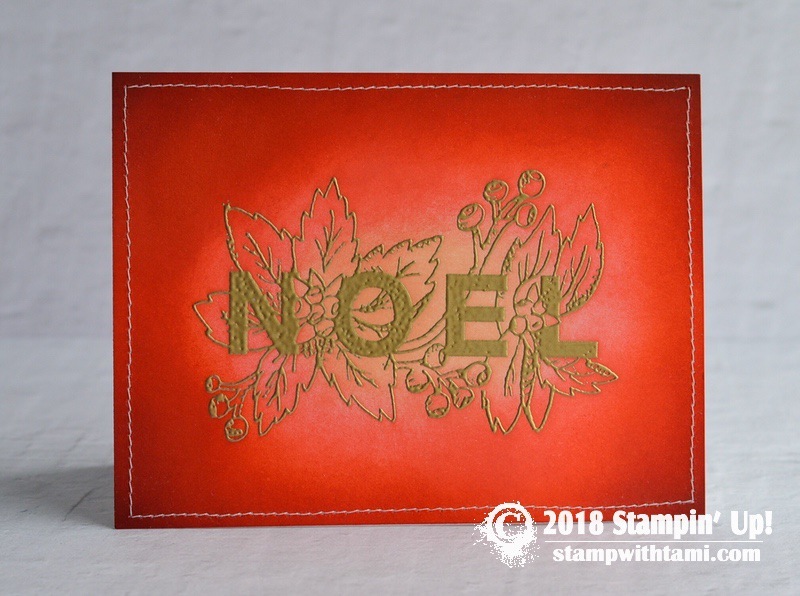 This is a single layer “wow” card from the Stampin’ Up Joy & Noel stamp set. 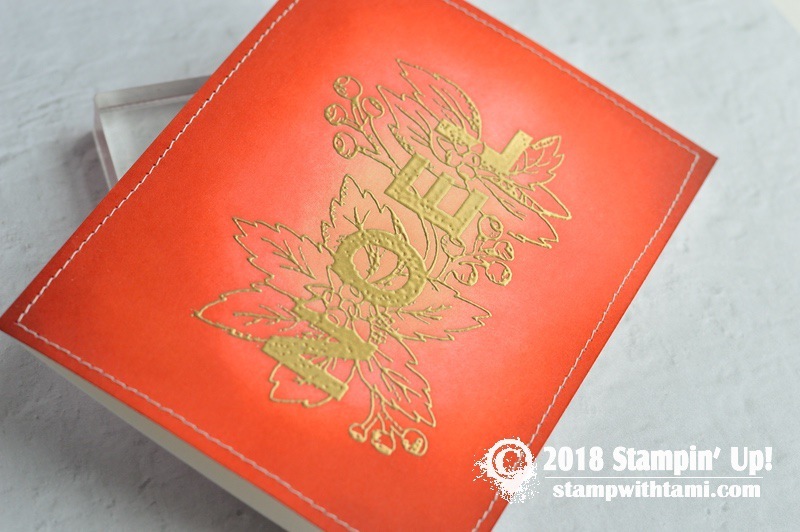 The “noel” image is heat embossed in gold. The background is sponged with sponge daubers. Working with the lighter colors in the center to the darkest along the edges. Some optional sewing around the edges.